Dr. Robert Clark, a native of Gouverneur, New York, completed his undergraduate studies at Albany College of Pharmacy and Health Sciences before going on to earn his Doctorate of Dental Surgery degree from the University at Buffalo School of Dental Medicine in 1980. Throughout his career, Dr. Clark’s dual education in pharmacy and dentistry has helped him successfully assess and address patients’ individual dental health needs. Above all, Dr. Clark’s philosophy is that treating each patient as though they were family, with personalized and attentive care, results in more pleasant and rewarding experiences for patients and the doctor. Since his formal education, Dr. Clark has attended numerous continuing education courses and pursued advanced training in orthodontics and implant dentistry. Keeping up with the latest dental technologies and treatment methods is important to Dr. Clark because he wants to provide up-to-date, comfortable, and convenient care to his patients. In addition to being a lifelong student, Dr. Clark has held instructor positions at Onondaga Community College as well as University Hospital. Dr. Clark’s professional memberships include the American Dental Association, New York State Dental Association, Fifth District Dental Society, Onondaga County Dental Society, and the American Orthodontic Society. In his spare time, Dr. Clark serves as a member of Boy Scout Troop 80’s Executive Committee and the Oneida District’s Eagle Board Review. He also enjoys golfing, a variety of other sports, classic automobiles, and traveling. Dr. Clark and his wife have three children: one is a graduate of Colgate University, one is studying at St. Lawrence University, and the youngest is a student at the University of Miami in Florida. So there I was (for what seemed like hours) sitting in the dental chair, gazing at all of the tools around me, and waiting for the cement to dry on my broken front tooth. It was at that moment that I had decided I wanted to be a dentist. Kind of like Hermie in the Christmas cartoon Rudolph the Red-nosed Reindeer, from an early age all I wanted to be was a dentist. And here I am some forty years later, and I still have that child-like passion for my chosen profession. That is not to say that being a dentist is all fun with no hardship. In fact, it is in successfully overcoming the challenges one faces as a dentist that keeps the fire burning and my intellect fresh. After graduation from West Genesee High School, I attended the University at Buffalo where I received my Bachelor of Science degree in Biochemistry. Four years later I was awarded my Doctorate of Dental Surgery from the UB School of Dental Medicine. I have held positions as an Adjunct Professor at Onondaga Community College School of Dental Hygiene, an Associate Professor of Dental Radiology at OCC, and Associate Professor in the Department of Dental Surgery at SUNY Upstate Medical Center. Presently I am an attending dentist in the Dental Department at St. Joseph Hospital. Being a dentist has allowed me the great fortune of personally meeting so many interesting and unique people. Through these acquaintances, I have had the opportunity to become active in my community. Whether coaching softball or playing the tuba in the Liverpool Community Concert Band, being active in the neighborhood is an integral part of my role as a community dentist. In today’s ever-evolving field of medical dentistry, a conscientious dentist must put forth the effort to stay current with today’s technology. I have made it my goal to maintain a superior knowledge base, whether it be in the field of orthodontics, implants, or simply new teeth whitening methods. This accounts for my more than 1500 hours of continuing education. Outside of the office I can be found tending to my backyard orchard or restoring my historic home, but most of the time is spent balancing music, sports, and college life with my wife Kelley and our five children. I am truly blessed to be surrounded by an outstanding, dedicated staff. After twenty-seven years practicing dentistry, I can honestly say I enjoy coming to work each day. Perhaps breaking my front tooth so many years ago was no accident, but my destiny. 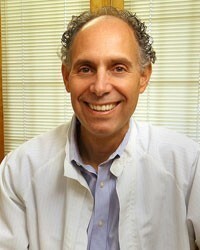 Dr. Michael Grossman loves being a general dentist. He particularly enjoys getting to know entire families. Dr. Grossman graduated from the University of Massachusetts with his Bachelor of Science degree in biology, then earned his Doctorate of Dental Surgery degree from the State University of New York (SUNY) at Buffalo in 2004. Dr. Grossman is a family dentist with a specific interest in cosmetic and pediatric dentistry, and he really enjoys implant dentistry and orthodontics too—including traditional braces and Six Month Smiles® clear braces. He has completed a two-year continuum course by the Academy of Straight Wire and Functional Orthodontics, as well as training to provide Six Month Smiles® adult braces. Professional organizations of which Dr. Grossman is a member include the American Dental Association, Fifth District Dental Society, Onondaga County Dental Society, and the Syracuse Dental Club. In his personal life, Dr. Grossman's greatest joys are his wife, Meagan, and their children, Andrew, Lilah, Noah and Owen. They love taking walks as a family with their Beagle, "Red." Dr. Grossman's other interests are playing the guitar, skiing, and golfing, which he looks forward to doing with his sons and daughter. 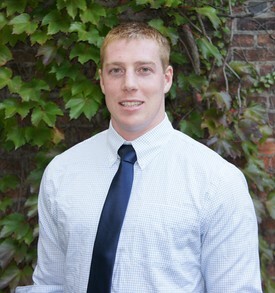 Dr. Smithers attended St. Bonaventure University for his undergraduate studies and completed his professional education at the University at Buffalo School of Dental Medicine. He recently graduated from the St. Joseph’s Hospital General Practice Residency, a one-year postdoctorate training program. Dr. Smithers enjoys all aspects of dentistry, including cosmetic dentistry, oral surgery, prosthodontics, endodontics, and implant dentistry. Dr. Smithers, the son of Jeff and Lisa Smithers, grew up in a small farm town in Northern New York called Heuvelton. He has two brothers, an identical twin, Jordan, and a younger brother, Joel. In his free time, Dr. Smithers enjoys the great outdoors with his family. He works out regularly and plays a variety of sports, including basketball and golf. 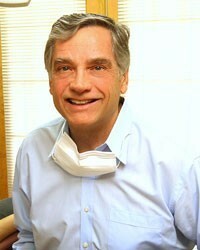 Dr. Smithers brings the same small-town values that he was raised with into the Summit Dental practice. 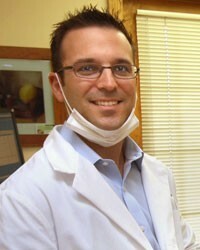 He is committed to providing the highest quality dental care for the whole family using the latest techniques and technology. His genuine, compassionate demeanor and his love for the art of dentistry are apparent from the first moment he shakes your hand.